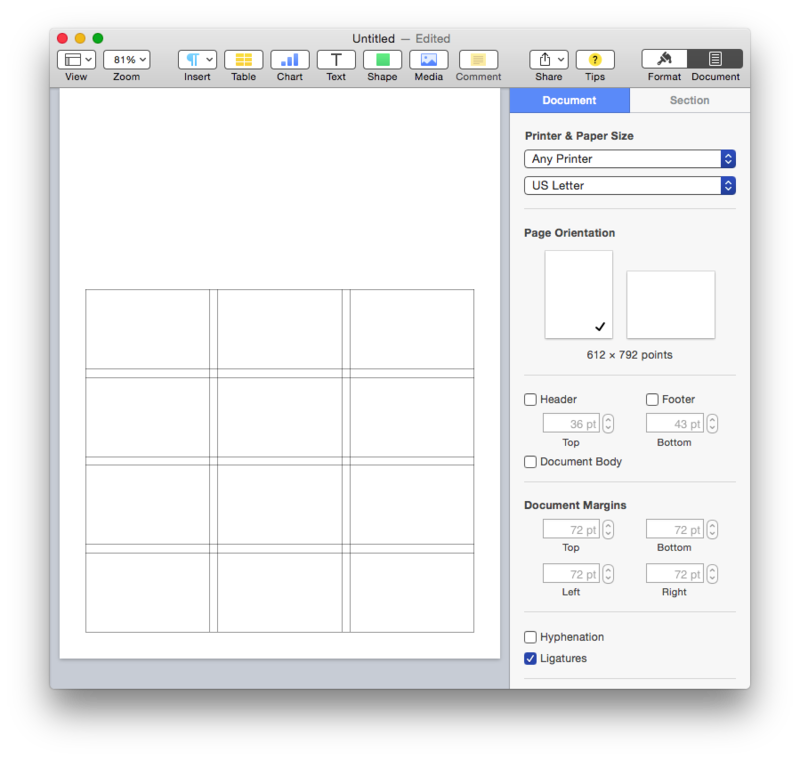 Documents created by any of the iWork applications, Pages, Keynote, or Numbers, can incorporate a common set of elements, including images, shapes, lines, tables, charts, movies, and audio clips. contained by iWork containers such as: pages. 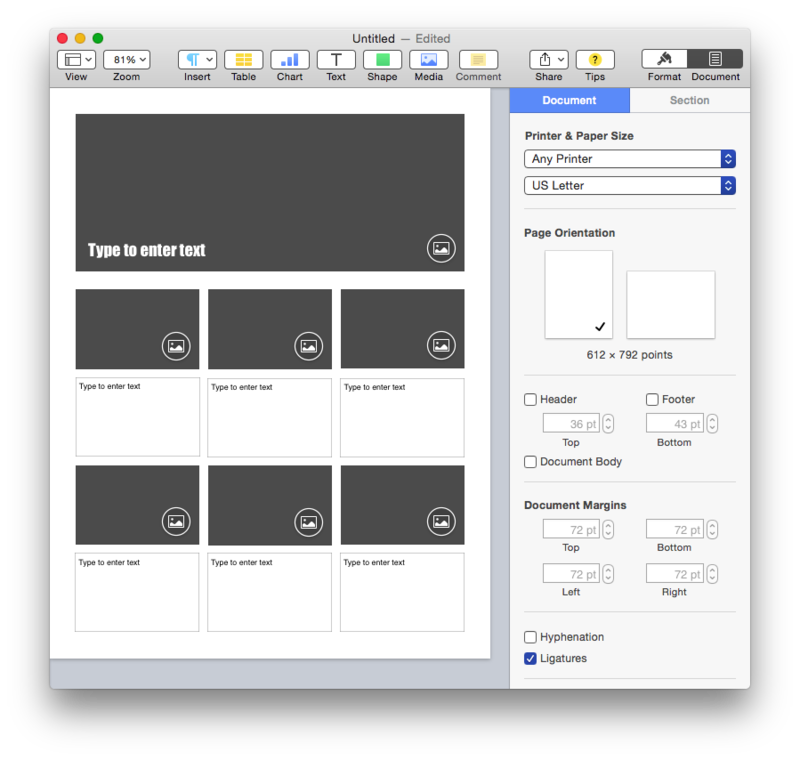 Grid-based page layouts are a common design element of marketing materials and technical documents. They present information in a clean manner that is easily absorbed. In Pages, lines make excellent temporary guides for creating grid-based page designs in documents with their Document Body text flow disabled. Using the scripts provided on the following pages, it is easy to develop attractive and functional templates for use in your business or organization. NOTE: To learn how to automatically create a grid of page items (text boxes and shapes), check out this documentation in the examples section.